learn how to get the most out of it. 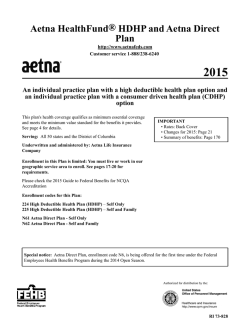 Looking for detailed plan information? coverage, just call Member Services at 800-868-8707. • File claims for you. send you a printed directory. You’ll pay less with this network option. amount charged by your provider. This out-of-network option typically costs you more. the services are scheduled to begin. 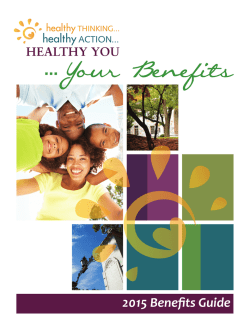 Plan Design and Beneﬁts Summary. graduation, dropped below minimum credit requirements). do not exceed 100% of the total allowable expense. day period following such termination of insurance. have with respect to such overpayment. the rights under (a) and (b). to secure those rights to Aetna. refer to the Master Policy. medical and/or dental coverage under more than one Plan. “Plan” and “This Plan” are deﬁned herein. claim was processed, according to the beneﬁts of your Plan. advantage of the following services, discounts, and programs. healthy lifestyle with services provided by GlobalFit®. now or belonged recently, call GlobalFit to see if a discount applies. subsidiary of American Specialty Health Incorporated (ASH). to a provider participating in the EyeMed Vision Care network. programs and Nutrisystem® weight loss meal plans. can help ﬁnd what works for you. assistance and many other important assistance services. 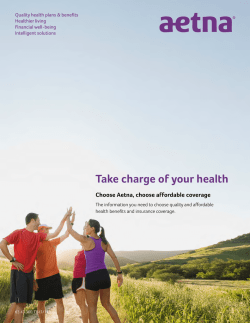 of Chickering Claims Administrators, Inc., Aetna Life Insurance Company or their afﬁliates. 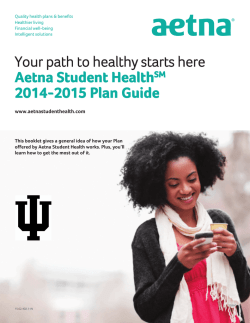 information, please call Member Services at 800-868-8707 or visit www.aetnastudenthealth.com. responsible for outcomes. The availability of a particular provider(s) cannot be guaranteed and network composition is subject to change. Remember: In case of emergency, call 911 or your local emergency hotline, or go directly to an emergency care facility. In Texas, this approval is known as “pre-service utilization review” and is not “veriﬁcation” as deﬁned by Texas law. While only your doctor can diagnose, prescribe or give medical advice, the Informed Health Line nurses can provide information on more than 5,000 health topics. Contact your doctor ﬁrst with any questions or concerns regarding your health care needs. Not all topics may be covered medical expenses under your Plan. Not all plans may cover domestic partners- please refer to the Plan Design and Beneﬁts Summary information for more details. 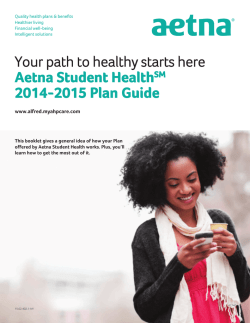 Download the 2015 brochure to compare all 2015 plans in your state.